Across countries and time, asylum-seekers and refugees have been represented in a variety of ways. In some representations they appear negatively, as dangers threatening to ‘over-run’ a country or a region with ‘floods’ of incompatible strangers. In others, the same people are portrayed positively, with compassion, and pictured as desperately in need of assistance. How these competing perceptions are received has significant consequences for determining public policy, human rights, international agreements, and the realization of cultural diversity, and so it is imperative to understand how these images are perpetuated. 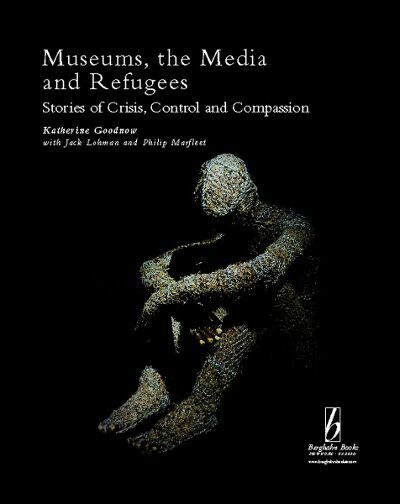 To this end, this volume reflects on museum practice and the contexts, stories, and images of asylum seekers and refugees prevalent in our mass media. Based on case studies from Australia, New Zealand, and the United Kingdom, the overall findings are illustrative of narratives and images common to museums and the media throughout the world. They aim to challenge political rhetoric and populist media imagery and consider what forms of dissent are likely to be sustained and what narratives ultimately break through and can lead to empathy and positive political change. Katherine Goodnow is Professor at the Department of Information Science and Media Studies at the University of Bergen, Norway and co-editor of the UNESCO Museums and Diversity Series. Jack Lohman is Director of the Museum of London, Professor at the Bergen National Academy of the Arts, Chairman of ICOM UK and co-editor of the UNESCO Museums and Diversity Series. Philip Marfleet is Professor at the Refugee Studies Programme of the University of East London.